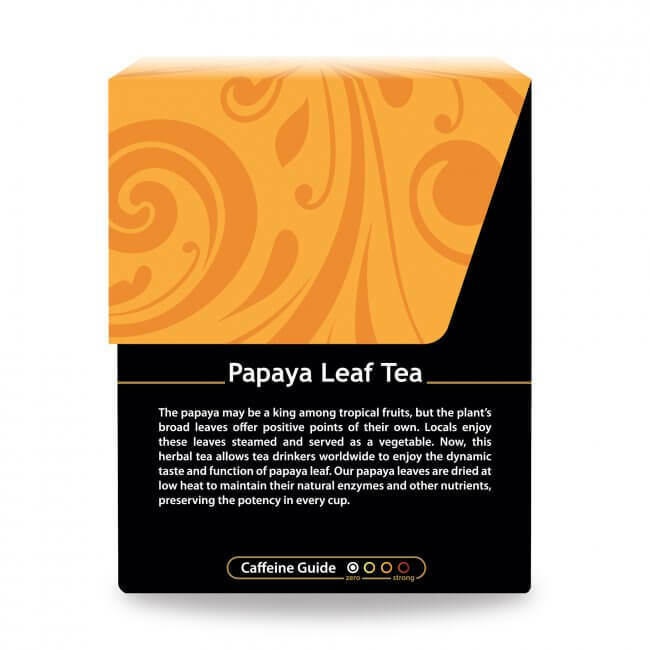 Popularly known for its fruit, the papaya plant's leaves are also useful, especially to create a tummy-soothing herbal tea. Though you probably know that the orangish-yellow fruit part of the papaya tree is a common breakfast food in the tropics and elsewhere, the papaya leaf at the top of the tree is used as well, often steamed and plated up as a side dish. 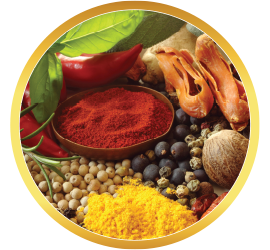 With this in mind, realize that even though the papaya fruit is jam packed with beneficial enzymes and phytochemicals, the leaves of the papaya tree also boast nutrients worth taking a second look at. A tall tree with leaves only at the top, the papaya tree is actually not a tree at all! 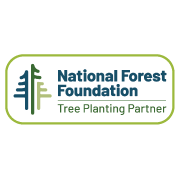 It is technically called a herbaceous plant because its “stem” (rather than a trunk) is not wood, and remains green and soft for its entire lifespan. You already know that the papaya fruit grows on trees that hail from the tropics, originally southern Mexico to Central America. 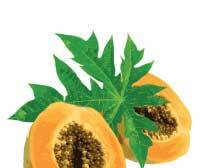 Today you will find commercial papaya trees in most tropical regions across the globe. Papaya trees need a warm climate, and soil that is well-drained. A tree cannot exist in freezing temperatures, and even temps as high as 59 degrees F won’t allow a papaya tree to thrive. 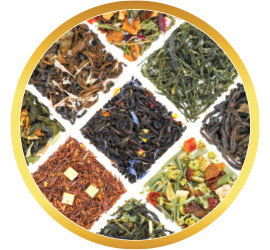 The best air temperature to produce healthy fruit is 70 to 90 degrees F.
We recommend pouring boiling water over your tea bag and covering, but suggest steeping for no longer a few minutes to ensure optimum flavor; best to experiment to find out your personal taste preference. What Does Buddha Teas Papaya Leaf Tea Taste Like? If you’re expecting your cup of Buddha Teas Papaya Leaf Tea to taste like a sweet, sunny day in the tropics, you’ll be setting yourself up for disappointment. The fruit of the papaya tree is not the leaf of the tree, so expect a rather earthy, somewhat nutty flavor. It’s brownish-gold tint reveals that it’s its own thing; in other words, the papaya leaf refuses to act like a papaya fruit on the set of a Hawaiian beach photo shoot. Steep carefully, as too long a dunk and the tea will turn bitter. 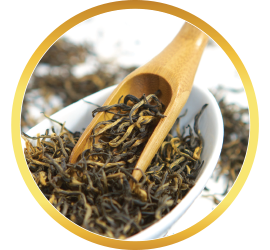 For optimal taste pleasure, we recommend that you enjoy your Buddha Teas Papaya Leaf Tea with a touch of the sweetener you like best. 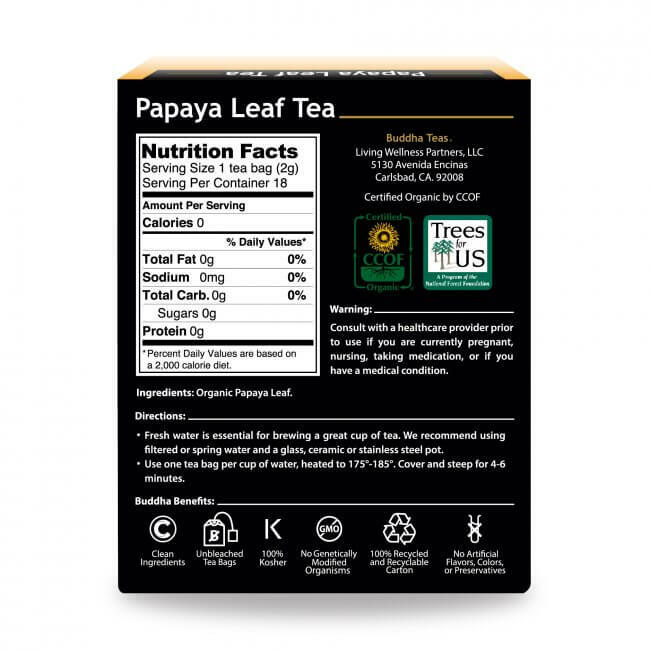 I've been drinking the Papaya Leaf Tea for a few weeks; it's very good quality and I like it. I will continue to drink it for health. My P count has been low due to treatment. I read some medical reviews and found that its used for dinghy fever which reduces P count and is very effective. So after trying it for 2 weeks, my P's were high enough to get treatment! I am very pleased with the results of this tea for what I needed.The taste is a little bitter not unlike green tea when brewed too long. Thank you so much for providing this product! It is not easy to find where I live and delivery was very fast! 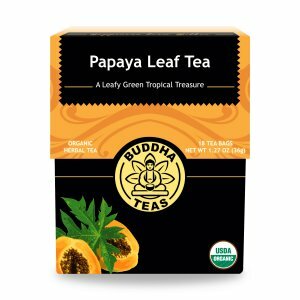 I bought papaya leaf tea for health benefits because it's rich in antioxidants and phytonutrients which can help protect against illness. 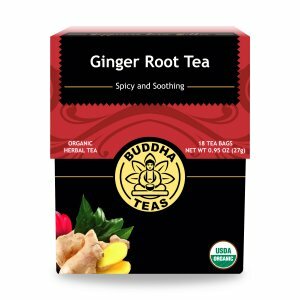 I purchased this tea for my husband as he has Gerd. I was hoping it would help him. We could not get past the taste. Yuk! I added hibiscus tea to it and it helped the taste a little. 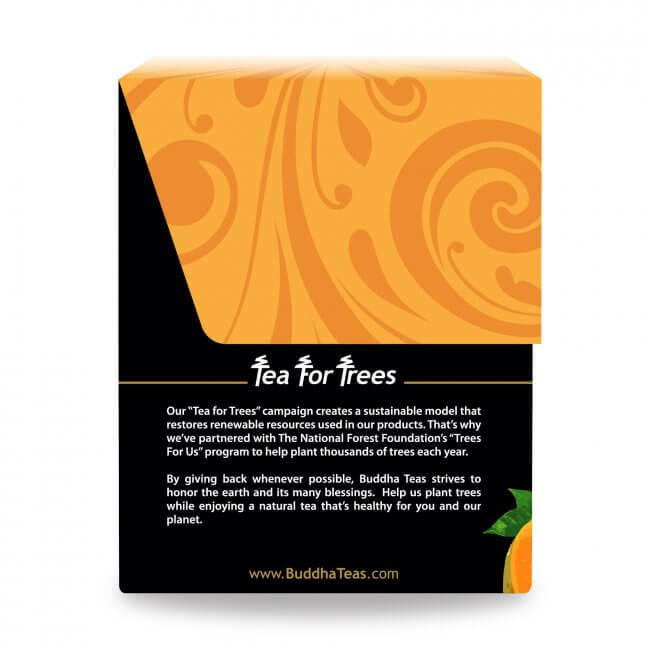 It was way too strong tasting for us, but it certainly won't discourage us from purchasing other teas from Buddha. Just love this place. I gave it three stars cause I wanted to be fair just because I didn't like it doesn't mean the next person won't. 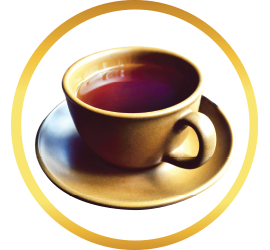 PAPAYA TEA HAS PROVEN TO BE HELPFUL WITH DIGESTION AND, AS A RESULT, ALSO HELPS ME TO SLEEP MORE DEEPLY. 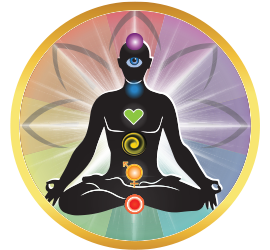 ITS BECOME AN EVERYDAY GOOD HEALTH HABIT. 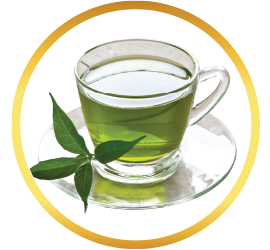 I ordered some papaya leaf tea because I had heard it could improve my p-count. My p's were low because of some drugs I had been taking. The ordering was simple and I received my tea in just a few days. 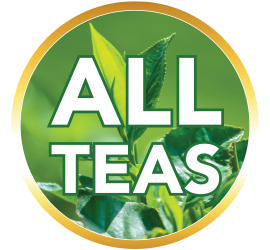 I have never been a tea drinker, but the mild taste makes it very easy to drink. I do prefer it hot without anything added. Best of all my p-count has improved. 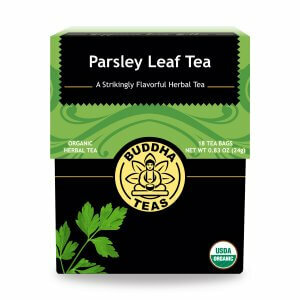 I will continue to order my tea from Budddha. 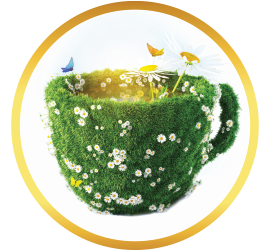 Very good quailty tea. Very refreshing. I love it! I bought this tea initially for a relative who will be traveling and decided to give it a try. Surprisingly this has helped with my health concerns. However, this tea makes me sleepy (lol). I thought it was just me, but it has the same effect on my husband too. On the plus side, after consumption, I exercise and feel rejuvenated afterwards.